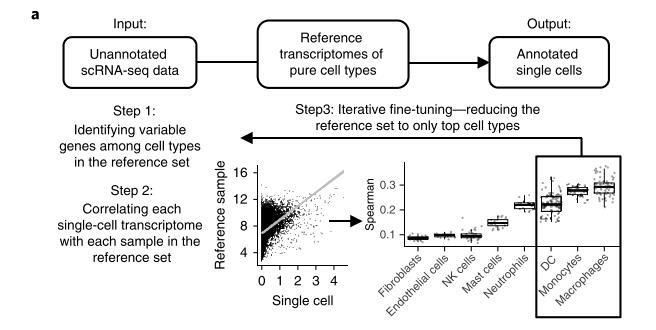 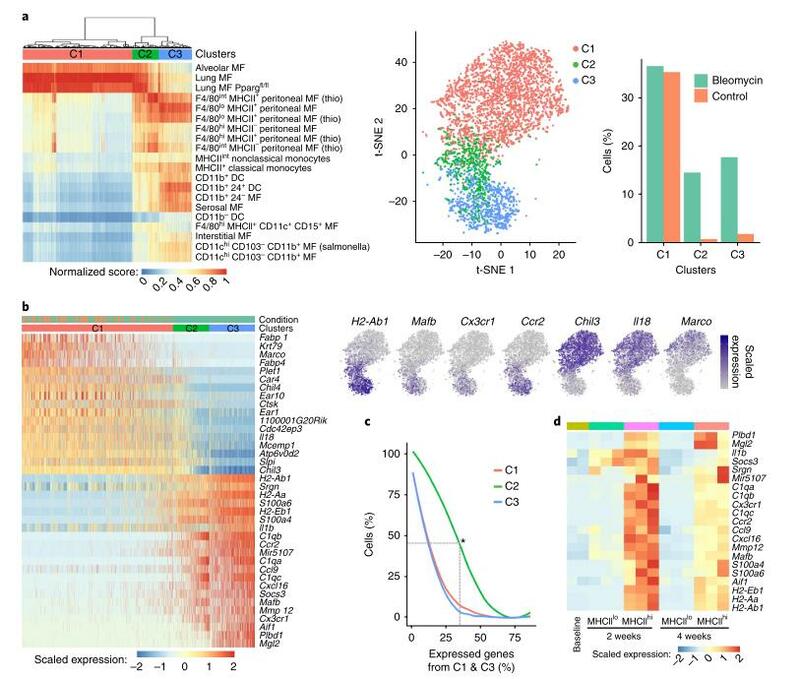 applied SingleR to enhance annotation of a lung scRNA-seq data set obtained from whole lungs of adult, male mice (10–12 weeks age) dissociated into single-cell suspension and flow sorted on live cells, using 6 steady-state mice and 3 mice 14 days after a single tracheal instillation of bleomycin, the fibrotic phase of the injury model. 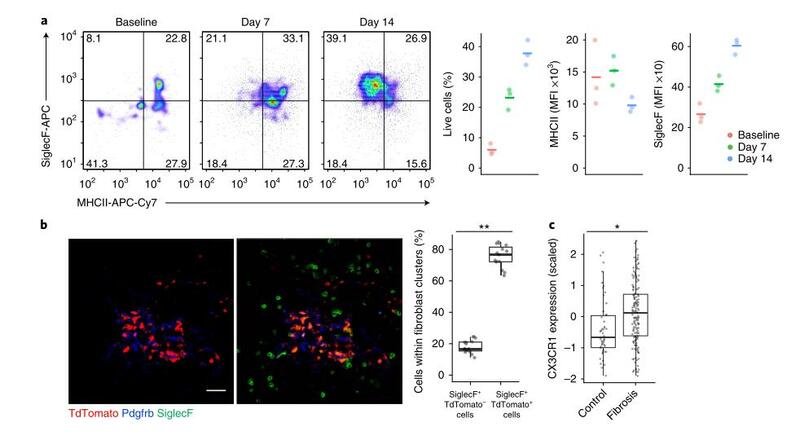 Conclusion：during fibrogenesis， CX3CR1+ SiglecF+ macrophages localize to sites of Pdgfra+ and Pdgfrb+ fibroblast accumulation after bleomycin-induced injury in the lung. 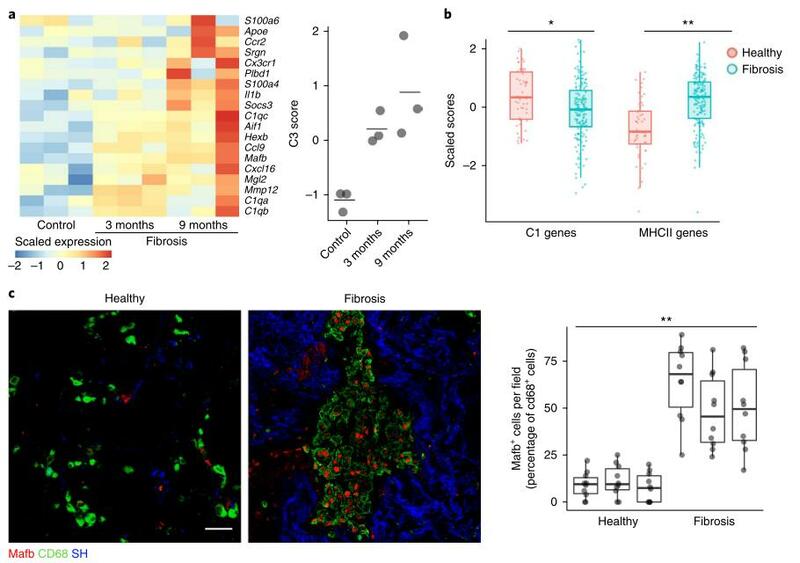 Deletion of these macrophages during the fibrotic period (days 8–21) eliminated Pdgfra+ or Pdgfrb+ fibroblasts and decreased total lung collagen. 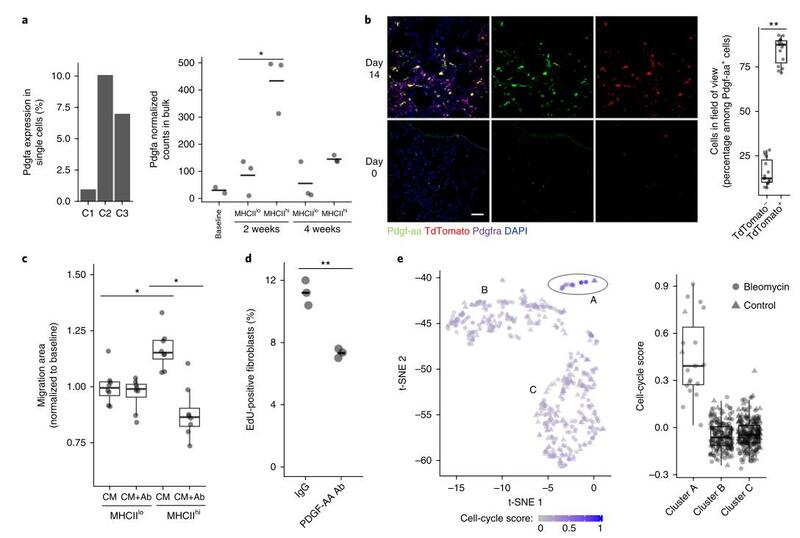 Mechanistic studies indicated that fibroblast migration and proliferation were dependent on secretion of Pdgf-aa by SiglecF+ CD11c+MHCIIhi and CX3CR1+ cells, respectively, suggesting that paracrine interactions between these macrophages and fibroblasts sustain the fibroblast compartment and tissue fibrosis.